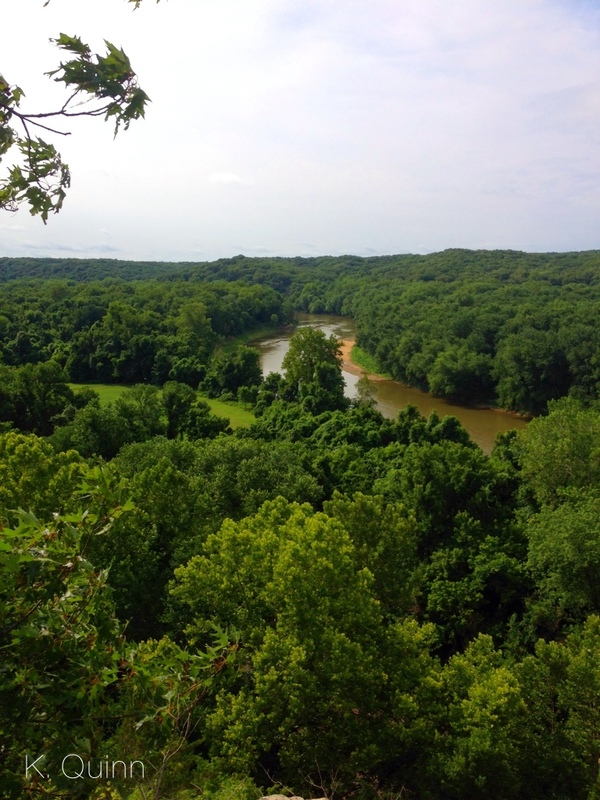 Castlewood State Park is located just outside of St. Louis and is nestled along the winding Meramec River. The park provides excellent overlooks of the river and ale also the opportunity to get up close with the river. 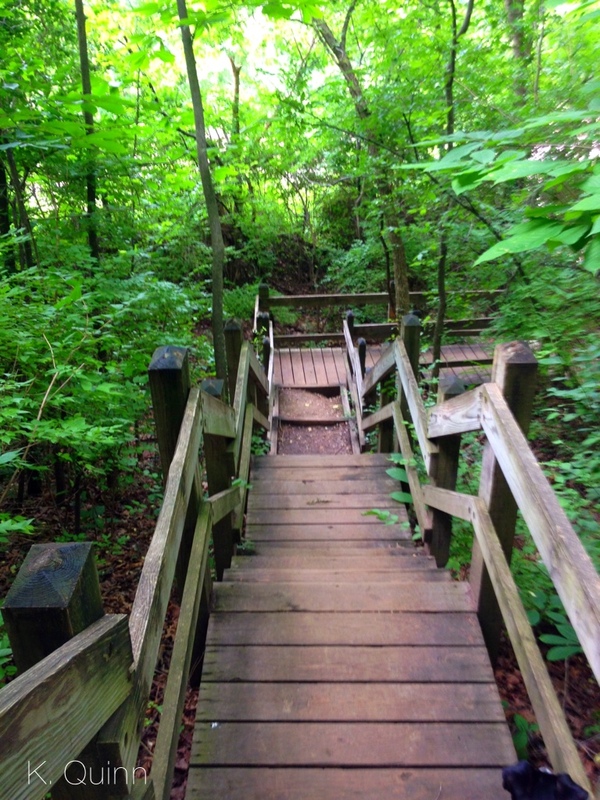 My friend and I spent a couple hours enjoying the parks various hiking trails. We parked in the parking lot just over the creek and to the right. Right next to this parking lot is a trailhead. 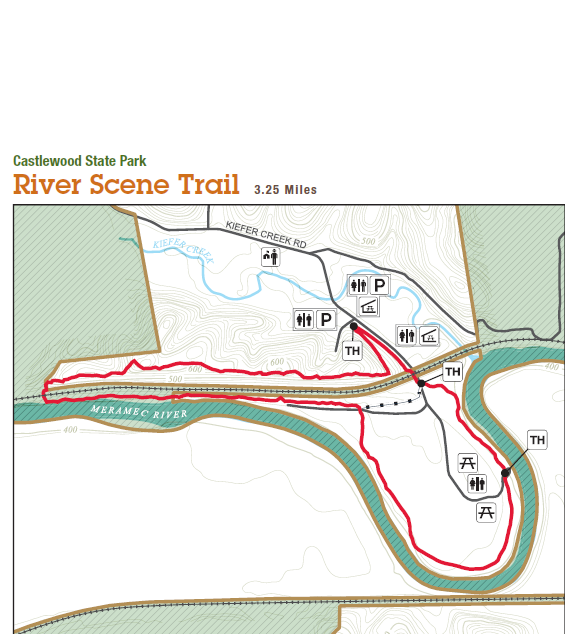 We hiked the entire River Scene Trail for a total of 3.25 miles as shown on the map below. 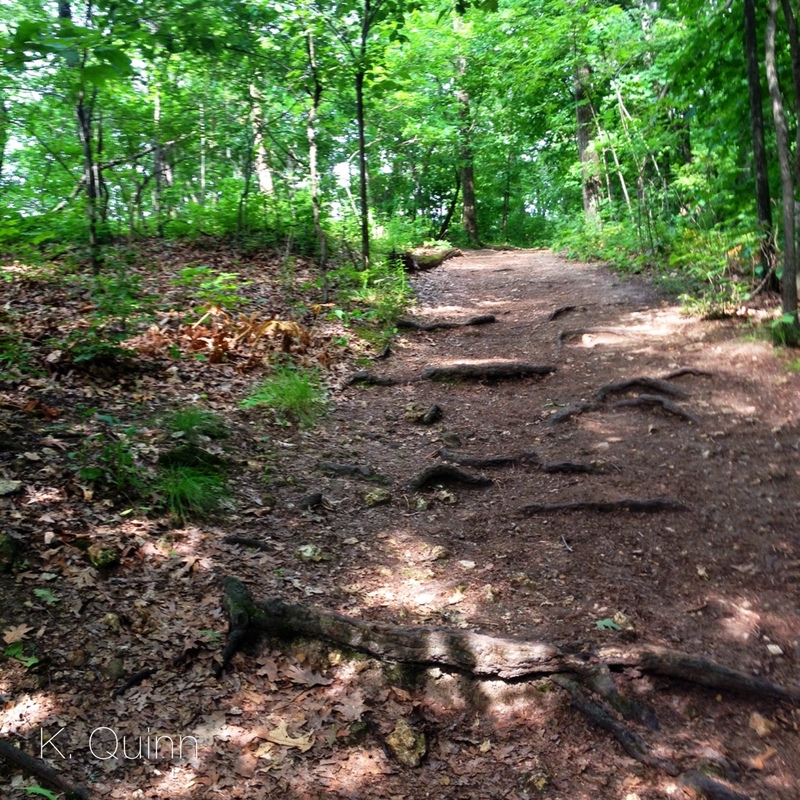 The trail starts out by climbing a steep hill that leads to the top of the bluffs. 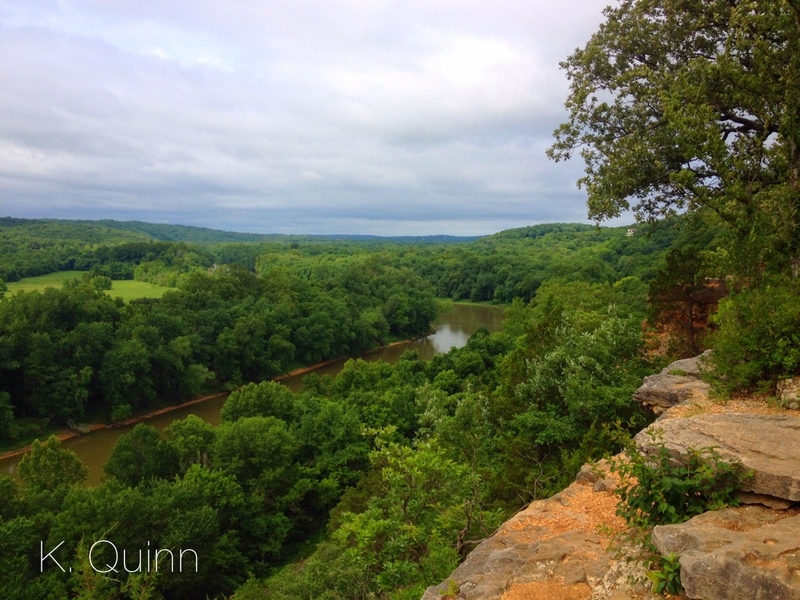 Once to the top, this part of the trail provides stunning panoramic view of the Meramec River Valley below. 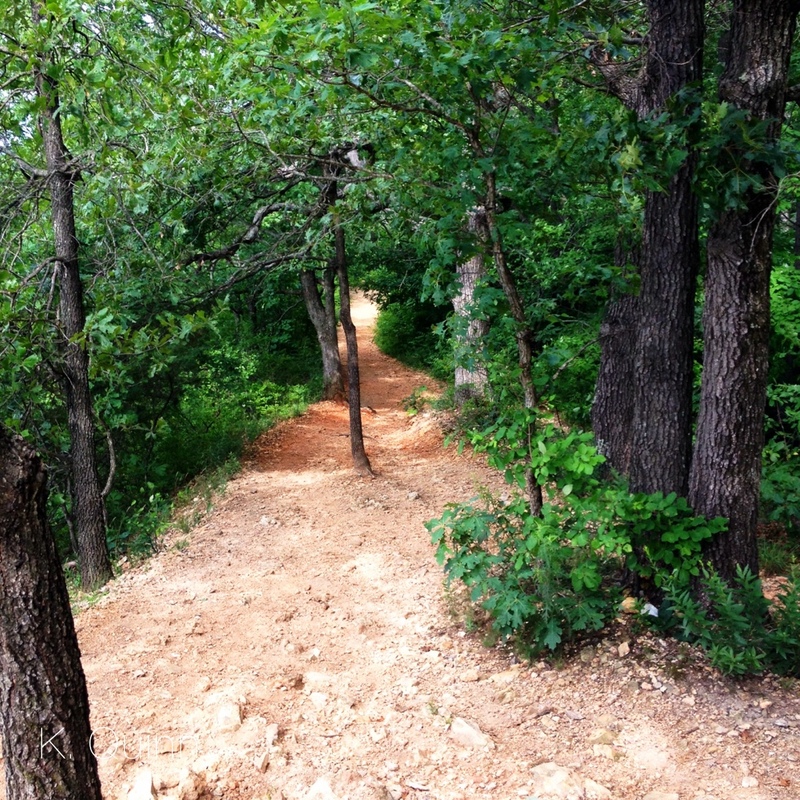 The trail meanders along the edge of the bluffs and in some parts can be rocky, but is not overly strenuous. From here, the trail descends down via several sets of stairs to the river valley below. An interesting feature to note is that if you look to your right as you are going down the stairs, you will see a set of old concrete stairs which is “Grand Staircase”. 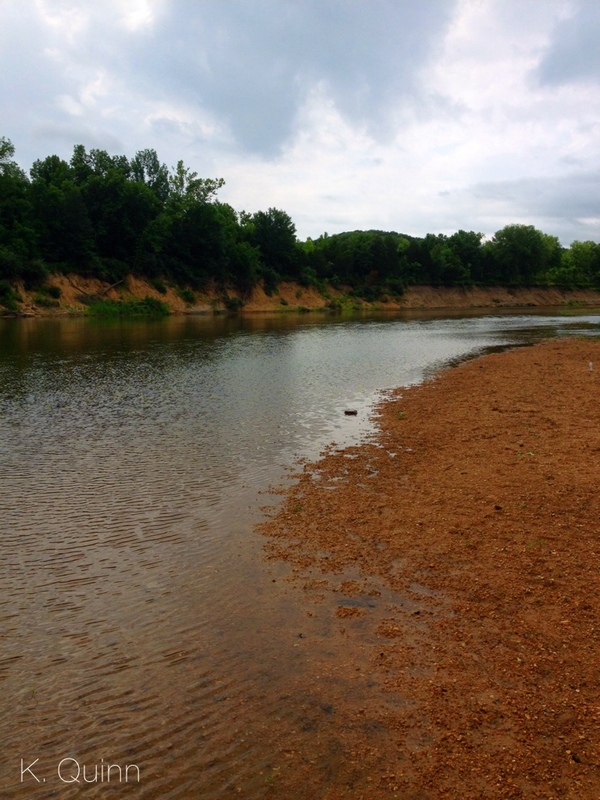 Back in the early 1900’s, Castlewood State Park was a weekend resort for local St. Louisans. The staircase of one of the features that remains from this era. 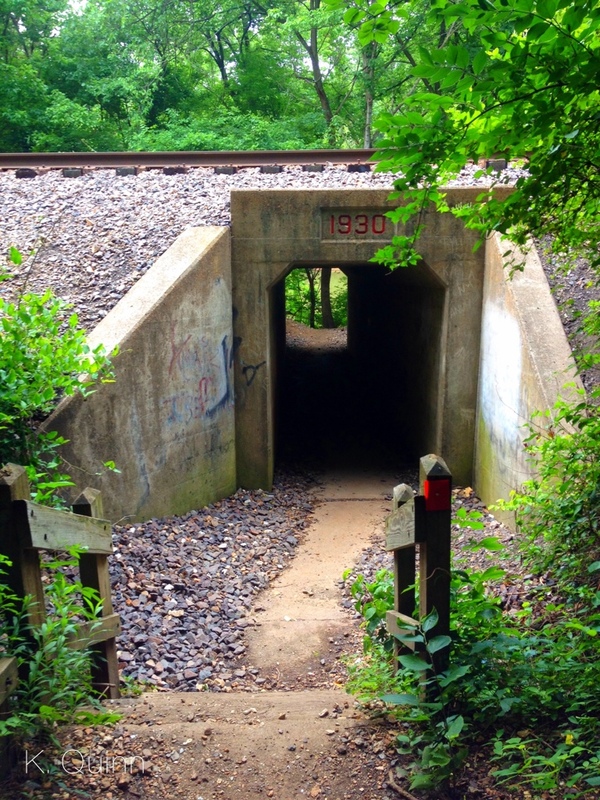 The trail passes underneath the railroad via a tunnel and is fairly flat terrain from here. The trail winds along the river providing nice views. 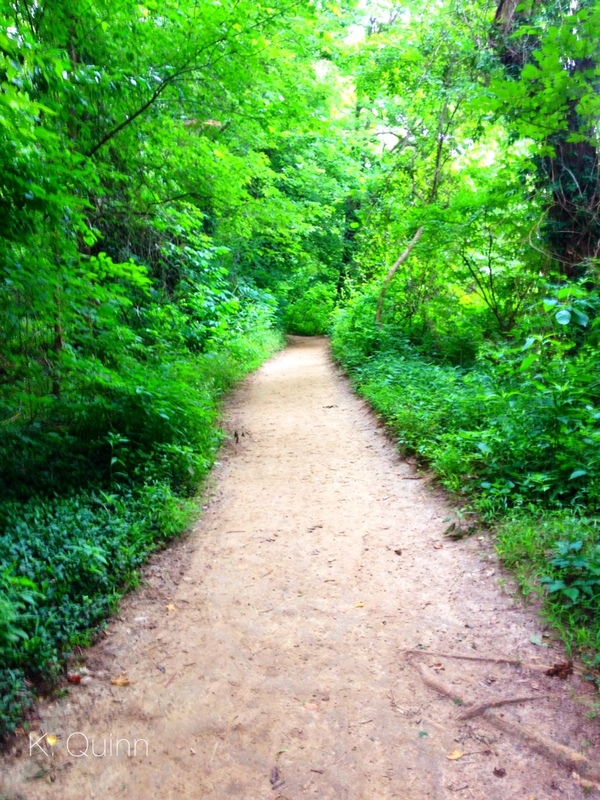 The trail will spur to the right through an open field where it meets back up and follow the river. There is a connector trail here if you stay straight to make the hike a bit shorter. The trail will reach the boat lunch area where there is a rocky beach if the river is not too high. 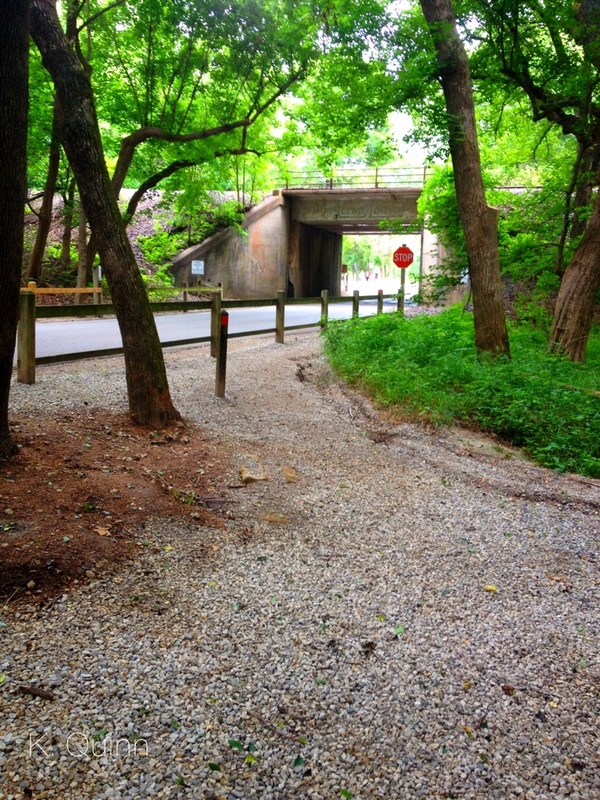 The trail finally comes to another railroad underpass where you can walk through and follow the road back to the parking lot. Be sure to also check out Kiefer Creek which is a refreshing spot with picnic tables near by. 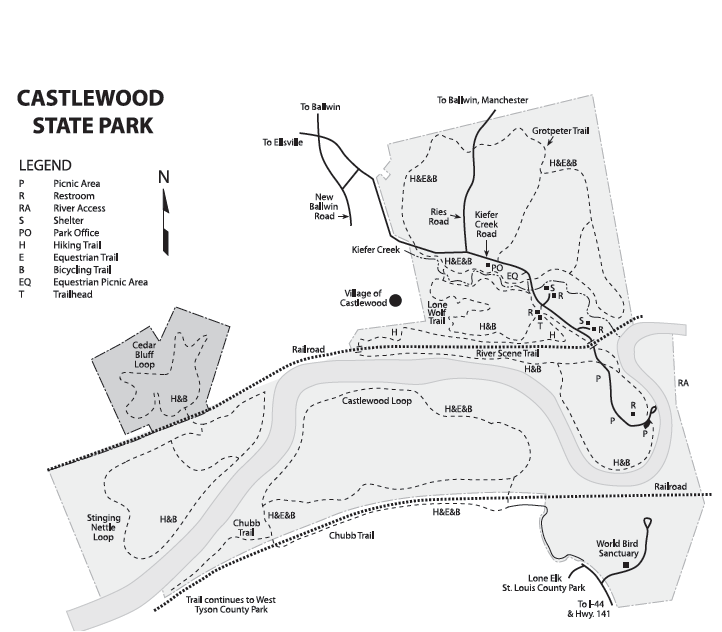 The park map below was obtained for the Missouri State Parks website. Be sure to check their website out as it has a lot of good information. 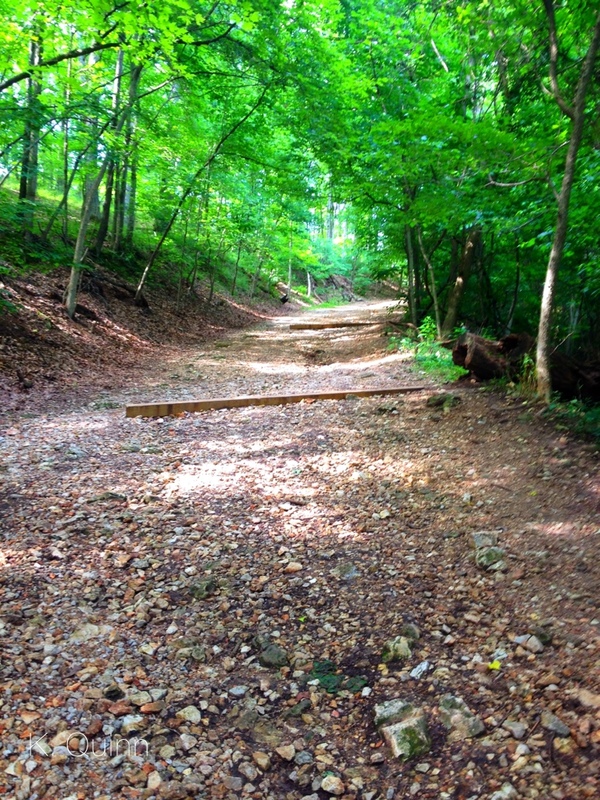 The parks also has tons of other trails for hiking and biking. 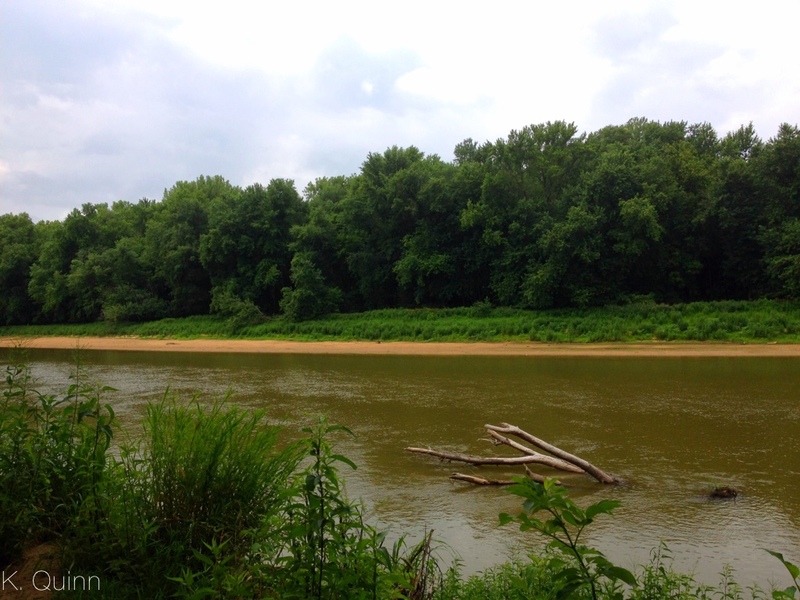 Have you been to Castlewood State Park or have a question? Please leave a comment below! Thanks for the info on this park. We will have to visit next time we are in town visiting family. Thanks for the comment mountdream!